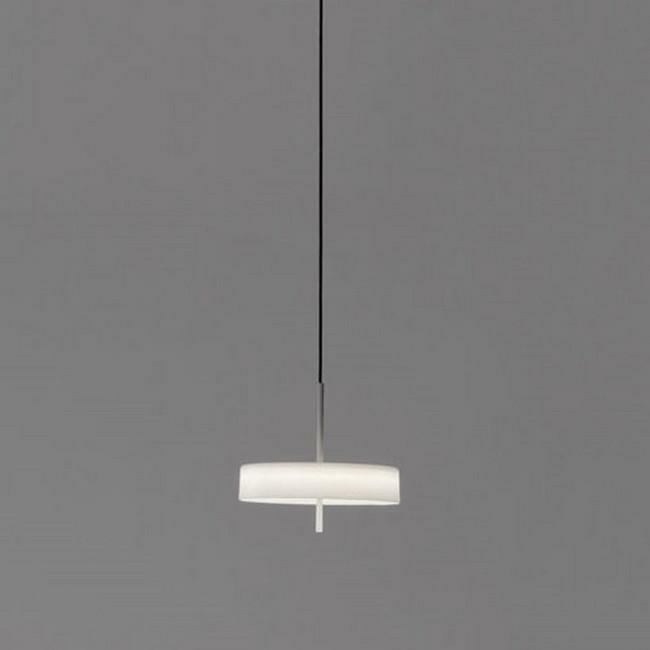 Sin Hanging LED Ceiling Lamp is an impressive minimal pendant lamp designed by Antoni Arola for Santa & Cole. This is a lamp that owes its name to the many things it does without. 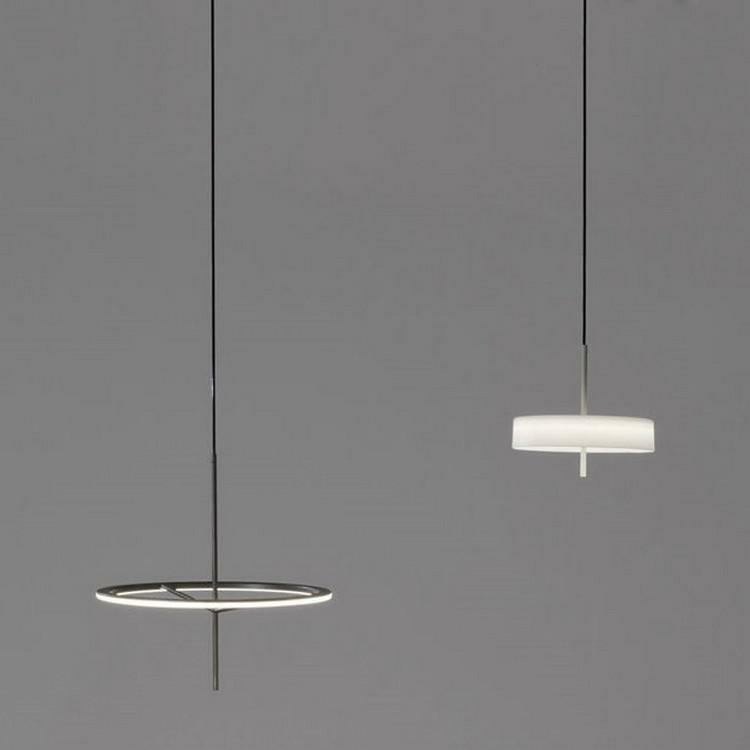 Designed as the new basic Santa & Cole lamp, it marries tradition and technology with the sobriety of a classic. 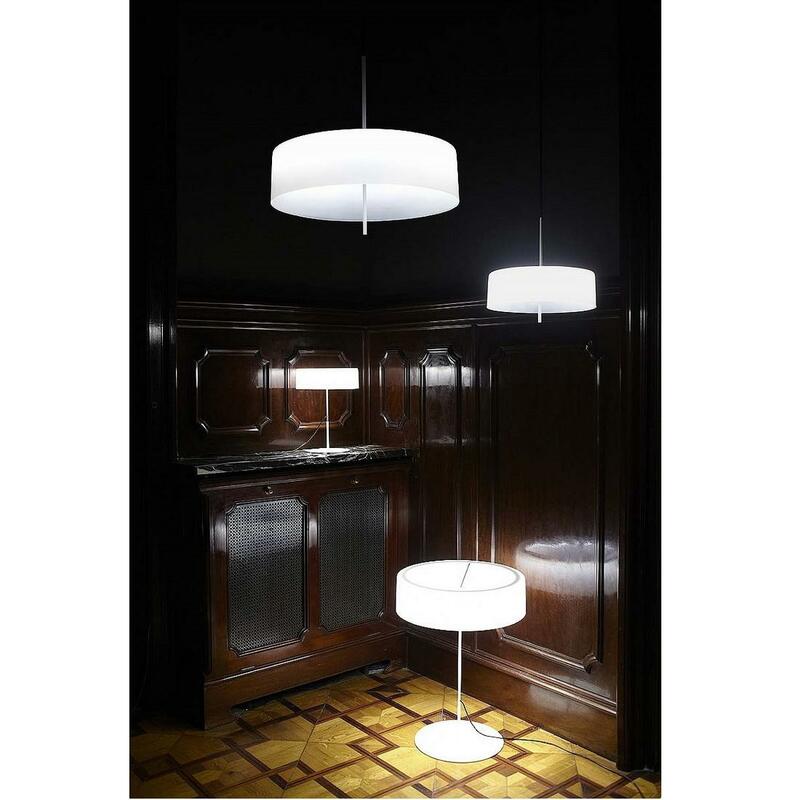 A circle of light in two sizes, with or without lampshade meets the lighting needs of any situation with extreme elegance. 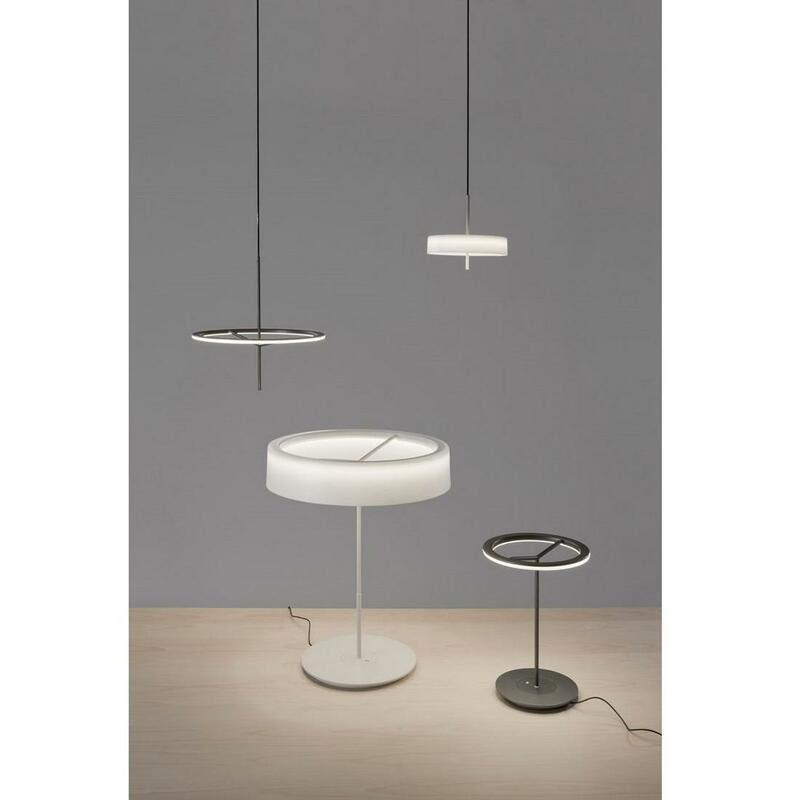 Sin Hanging Lamp is available in small and large size and in two basic colors graphite black and white. You can also have the optional white lampshade. 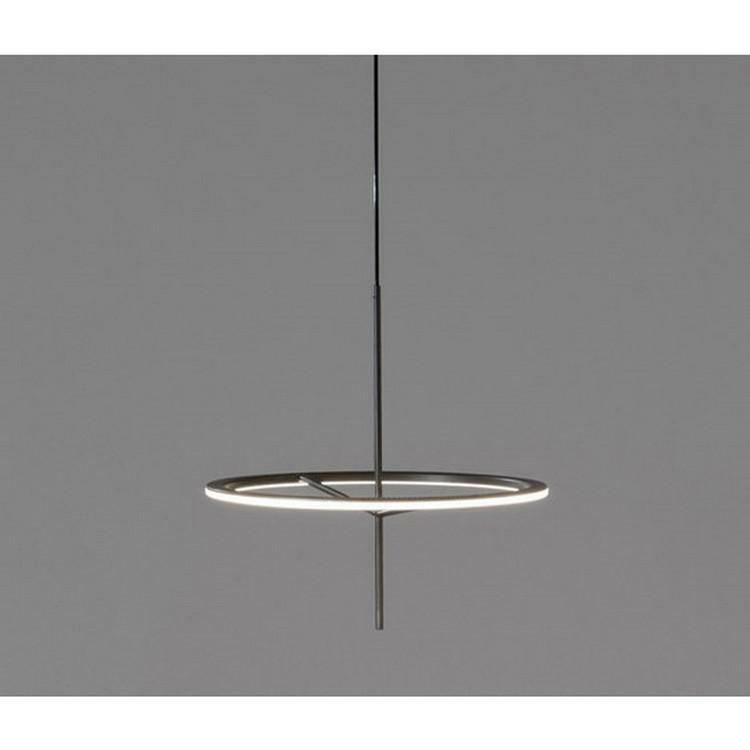 White or graphite metal structure with smooth matt finish. 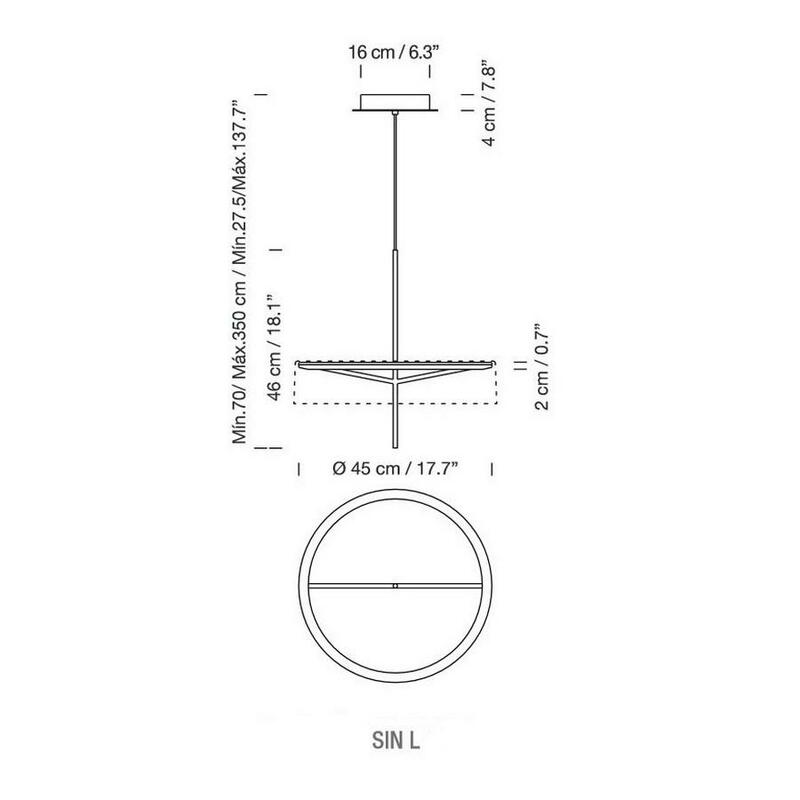 Surface-mounted metallic circular ceiling plate with equipment incorporated. 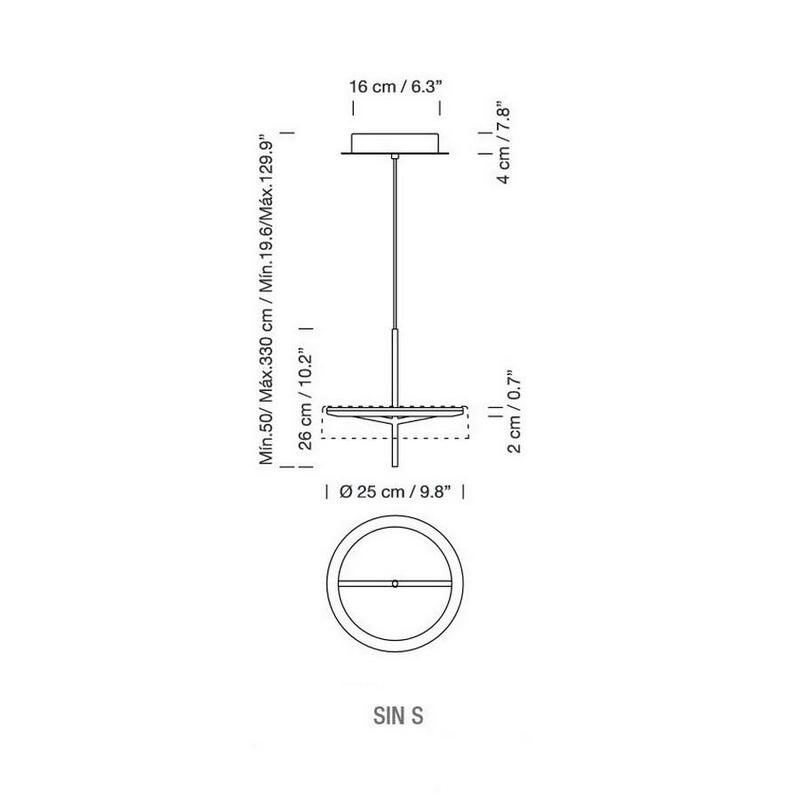 Dimensions: Diameter: 25 cm. 16 cm Height: min 50 cm max 330 cm. Dimensions: Diameter: 45 cm. 16 cm Height: min 70 cm max 350 cm.